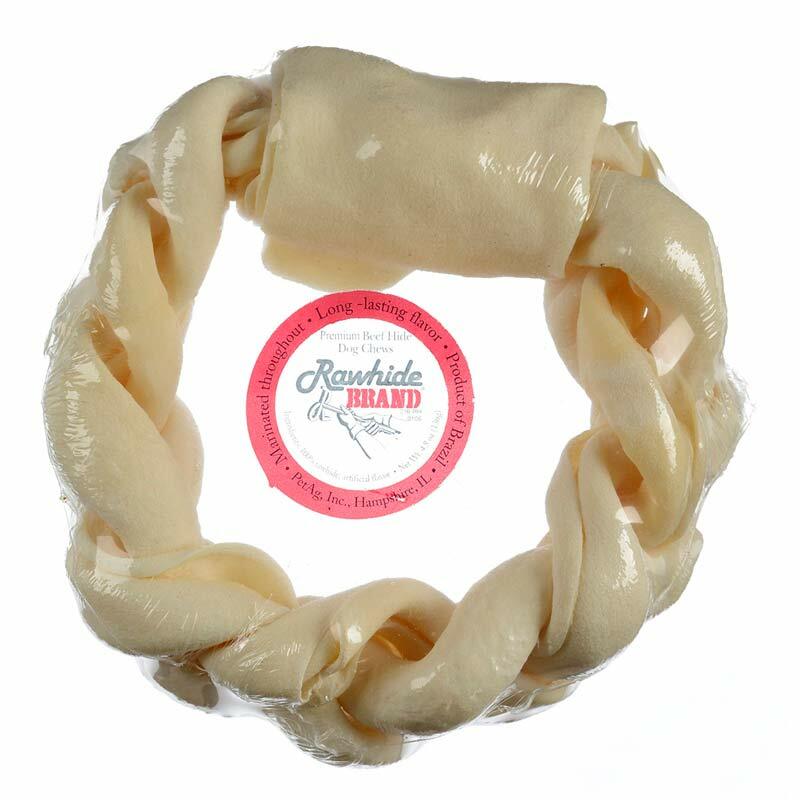 100% Premium Rawhide chew made with grass-fed, free-range beef hides. The chew is soaked in a patented Miracle-Marinade for an irresistibly rich beef flavor throughout. Designed for big dogs and aggressive chewers. 100% Beef hide, Artificial Beef Flavor Marinade.